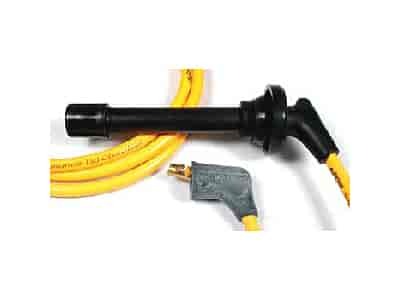 The oversized 8.8mm Accel spark plug wires feature a double silicone construction rated at over 600°F and 60kV. The high gloss black Accel silicone wire jacket not only looks great, but resists heat extremes, petrochemicals, ozone and moisture better than so-called blended materials for greater durability and longer life. The high-density, high-temperature silicone insulation provides greater dielectric strength and eliminates arcing and the effects of corona better than the typical OE style rubber materials. The all-Kevlar stranded inner core and fiberglass braiding adds greater pull strength and terminal retention.The stainless steel and brass terminals provide unsurpassed electrical conductivity and excellent corrosion resistance compared to terminals made of common or plated metals. Does Accel 7913Y fit your vehicle?